9693-KS-DST is rated 4.5 out of 5 by 8. 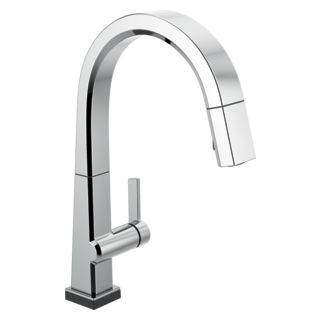 Rated 4 out of 5 by jprobinson9 from Works Well...Style Needs Work The Pivotal Single Handle Pull Out Kitchen Faucet worked well and was easy to install. I'm not a fan of the look and style though. Rated 5 out of 5 by rebec3910 from Beautiful form, excellent function! I've never enjoyed using the kitchen sink as much as I do now with my new Pivotal Single Handle Exposed Hose Kitchen Faucet 9693-DST! The steel and black matte color of the exposed hose combine to create a truly elegant and sleek design that upgrades my sink area simply in form. Add to that the increased functionality of this one compared to my former faucet, and my kitchen got an almost-entirely-new redo simply by installing this faucet! 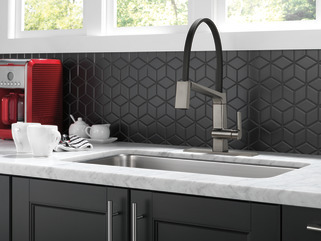 This faucet is very easy to install, but that pales in comparison to how easy it is to use! The stream of water that comes from the faucet is exactly the correct strength one requires in a main kitchen sink. 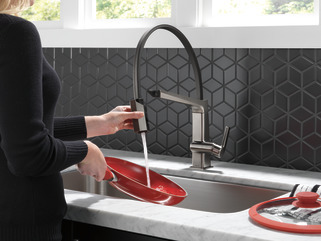 Merely lift the spigot from the holder, and you've got a fully-functioning faucet on the end of a very durable hose that pivots easy to reach all areas of any sink size one might use with this plumbing. 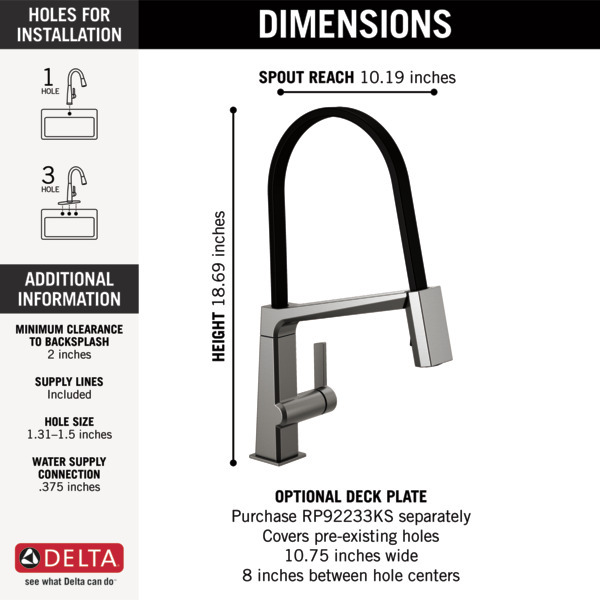 Thank you to Delta and Home Tester Club for the opportunity to try out and review the Pivotal Single Handle Exposed Hose Kitchen Faucet 9693-DST! 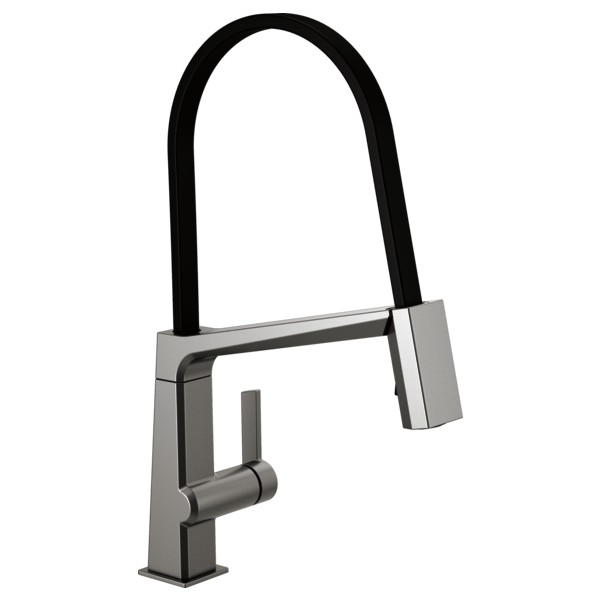 Rated 5 out of 5 by florina647 from Modern Pivotal Faucet I absolutely Love my Pivotal Single Handle Pull Out Kitchen Faucet !!! It was so easy to install & no more kinking hose. Not only does it look Great , it works amazingly. Adding this to my kitchen, gave it a more up to date, modern look. This stays clean , even when mine or a family member has dirty hands, Pretty awesome. I highly recommend this product to anyone who is up dating there kitchen or just needs a new Faucet. You will not be disappointed. Rated 4 out of 5 by amyableamy5 from Classy This is very classy looking. I like the magnetic spray nozzle. But I don't like all the finger prints it shows. If you don't like the finger prints you will always be polishing the metal to rid the faucet of those unsightly prints that are left on the faucet. Rated 4 out of 5 by DeeDeeRydz10 from Delta Faucet with Plastic hoses I love my faucet but have only one complaint. I would have preferred to buy a faucet with the steel mesh around the hosies. The plastic hoses on this faucet make it seem cheap and of lower quality than other products out there. I am a little afraid these hoses will burst. I would have replaced them if I could have with mesh encased better quality hoses but this faucet does not allow for that. 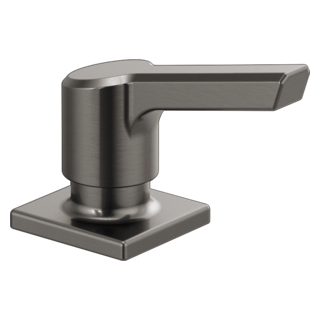 Rated 4 out of 5 by Patricia9 from Pivotal Faucet has no competition. 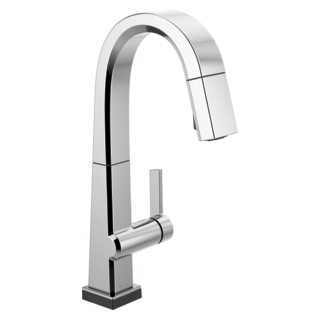 The Pivotal Single Handle Pull Kitchen Faucet 4193-DST is a very fantastic product. Its single hole installation saves lots of space around sink area. Its convenient pull out sprayer makes it even more special. My kids actually enjoy washing dishes by hand now and that really puts it at a plus for me. 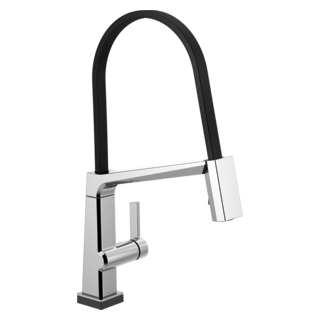 Rated 5 out of 5 by HanoverMaui6 from Delta Single Handle Exposed Hose Faucet The Delta Pivotal Single Handle Pull Out Kitchen Faucet with Exposed Hose 4193 DST is sleek and contemporary. I can't speak to installation, my husband did that and as he is handy, he found it easy to do. It took me some time to adjust to the looks of the exposed hose, but once I did I found the style appealing. The faucet worked smoothly and efficiently. It was a breeze to clean and I would highly recommend this ! After using the sprayer, does it attach back through the magnet OR is there a slot of some sort it has to also fit into? Stated another way, do you only have to place sprayer within the general area of magnet-dock or not? Is the exposed hose included in the lifetime warranty? I've got &quot;shutter blinds&quot; that open behind the faucet. The bottom of the shutter is 13&quot; above the counter top. To open shutters, would the exposed &quot;hose&quot; move down enough to allow shutter to open once spray head was dropped into sink?